See who has done what over defined time periods. This can be useful for reviewing staff performance. These reports can save managers / employees a lot of time over compiling and producing old fashioned spreadsheets. Tip: have a project or at least a task list for each member. In this you can record what was discussed and agreed at each meeting. You can set a due date to remind you about it. You’ll be able to find it quickly for review. 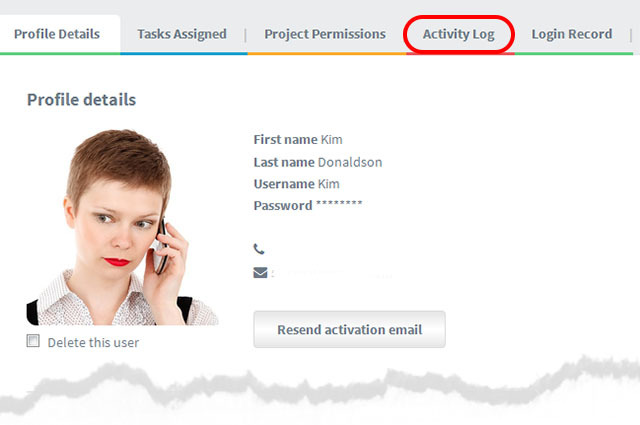 Note: the Activity Log section in the user profile screen only appears for account owners or Co-Owners.